LOCAL KNOWLEDGE NATIONAL PRESENCE… We take a fresh modern approach to selling residential property and we operate on a national basis, we are local everywhere. We take the hassle out of selling and buying a property and our dedicated teams are always on hand to help, no matter what your situation. We are known in our industry for high levels of customer service and we are proud of the reputation that we have earnt by working hard for our sellers and buyers. When it comes to selling or letting your home, you want to know that you are working with the right team, people who have intimate knowledge of the local area and a strong track record of achieving sales and lettings, combined with a professional service that meets all of your requirements. It’s why our clients come back to us time and again and why we are one of the area’s leading estate agent. Lawler & Co are a bespoke independent estate agency based in the leafy suburb of Marple located in the heart of the village on Stockport Road. Lawler & Co provide a fresh approach to buying and selling property in Marple and the surrounding areas including Marple Bridge, Mellor, Strines, Disley, High Lane, Compstall and Romiley. Modern, proactive marketing techniques are combined with a strong emphasis on customer service. Michael Hart & Company, established 1984, offer a complete service for those wishing to buy, sell, let or rent a home. As Independent Estate Agents, Chartered Surveyors, Auctioneers and Valuers, we have the skills and experience to advise and deliver on all property related matters. 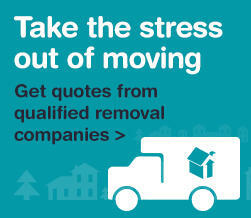 The company has offices in Bollington and Poynton providing coverage for the East Cheshire and South Manchester areas. Both offices are open seven days a week, and offer homes for sale and to let. If you are contemplating selling or letting your property you need to speak to Richard Lowth & Company if you are looking for a positive, committed agent who strives to get the best results by providing sound, sensible advice from the outset.